The most important part about this recipe is following the correct order. The first step is baking the chocolate chip cookies. 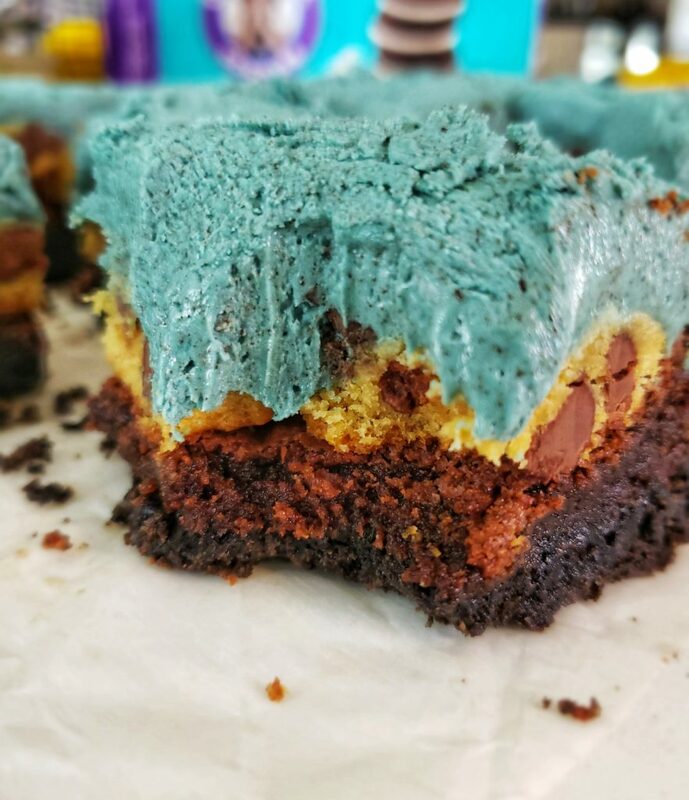 You’ll want to give these a chance to cool before it’s time to stack them on top of the brownie layer. 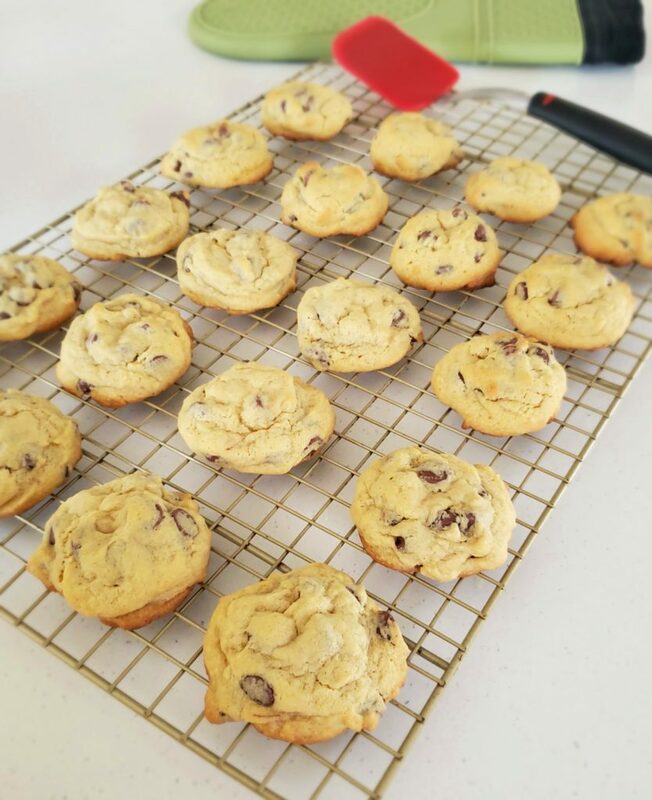 If you’ve been following me for a while then you know I love adding instant pudding mix to cookie recipes. It makes for a much softer cookie. If you’re gluten intolerant like I am, make sure and check the label. Some pudding mixes contain gluten (Jello brand instant vanilla is fine). 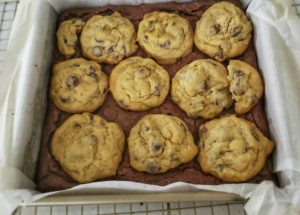 The cookie recipe yields a few more than you’ll actually need for the cookie monster brownies, but when have extra cookies ever been a problem?? Grease an 8 x 8 pan with butter before lining it with parchment paper. This makes it much easier to pop the brownies out of the pan. Make the brownie batter while the crust is in the oven. Once the crust comes out of the oven, let it rest for 5 minutes before spreading the batter on top. This will help the crust firm up a bit more. The chocolate chip cookies should be cool by the time the brownies come out of the oven. 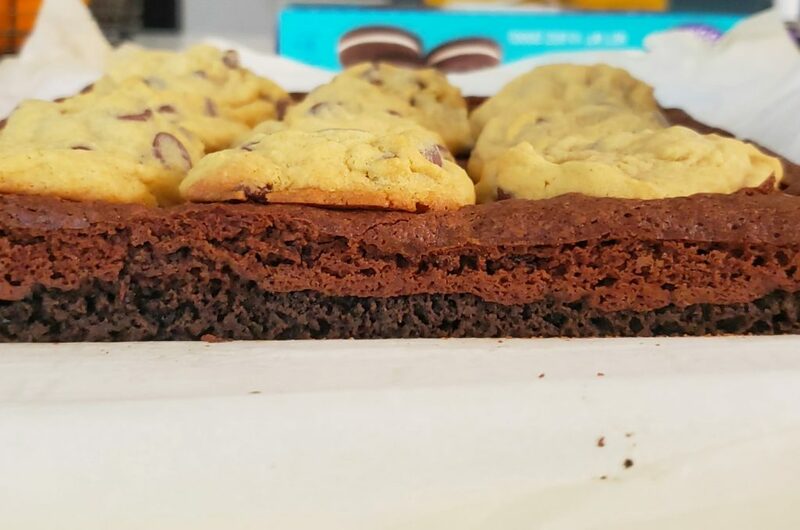 Again, let the pan rest for about 5 minutes before gently pressing the chocolate chip cookies on top of the brownie layer. You might need to break a few cookies in half. It’ll take a little while for the brownies to cool. Wait at least an hour before making the frosting. I made the frosting blue for the cookie monster theme, but you can customize it however you want! I also recommend popping the brownies out of the pan before frosting and cutting them. 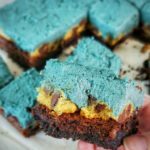 A brownie that any cookie monster will love! 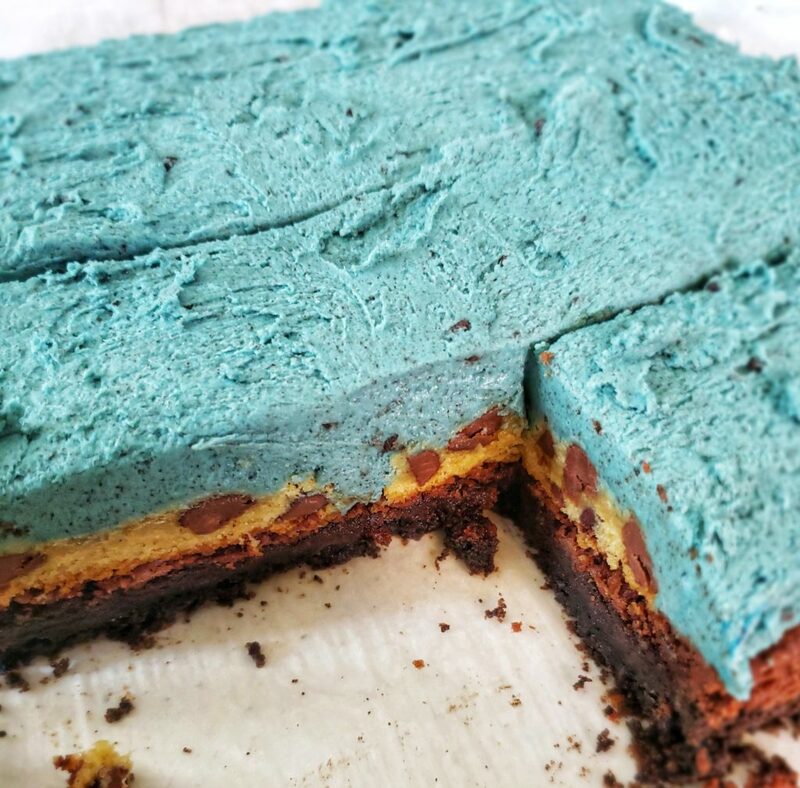 An oreo crust, topped with a fudgy brownie, chocolate chip cookies, and cookies and cream frosting. 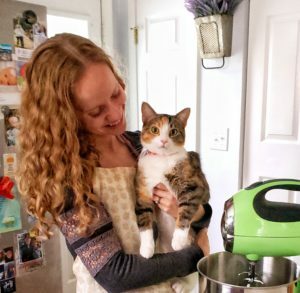 Make them gluten free or gluten-full! The first step is baking the chocolate chip cookies. Preheat the oven to 350°F (176°C) and line two baking sheets with silicone mats or parchment paper. In a large bowl, cream the butter, sugar and pudding mix until light and fluffy. Beat in the egg, yolk and vanilla until incorporated. Mix in the flour on low speed until just combined. Fold in the chocolate chips. 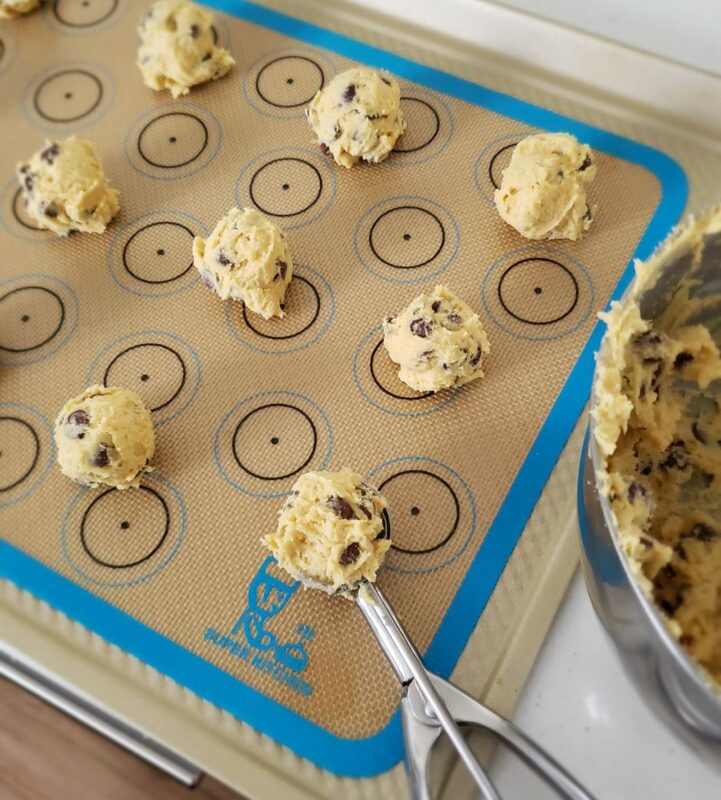 Drop large tablespoonfuls of cookie dough onto the prepared baking sheets, no more than 12 cookies per pan. Bake for 8-12 minutes, until the edges are lightly browned. Let the cookies rest on the pan for 3-5 minutes before removing to a wire cooling rack. While the cookies are baking, grease an 8 x 8 pan with butter and then line it with parchment paper. I like to butter the pan first because that holds the parchment paper down. 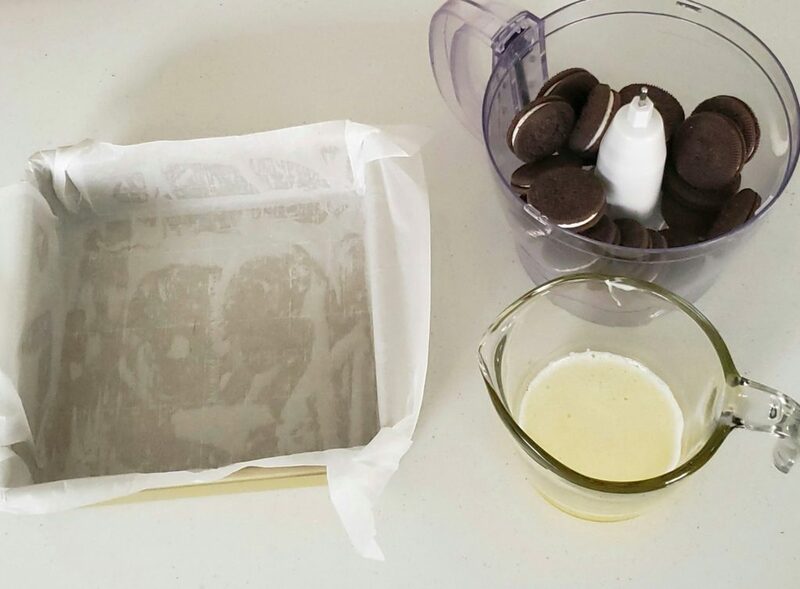 Crush 20 oreos using a food processor. If you don't have a food processor you can use a coffee grinder, or put them in a ziplock bag and crush them with a rolling pin. Combine the crushed cookies with the butter in the food processor (or mix it in by hand). 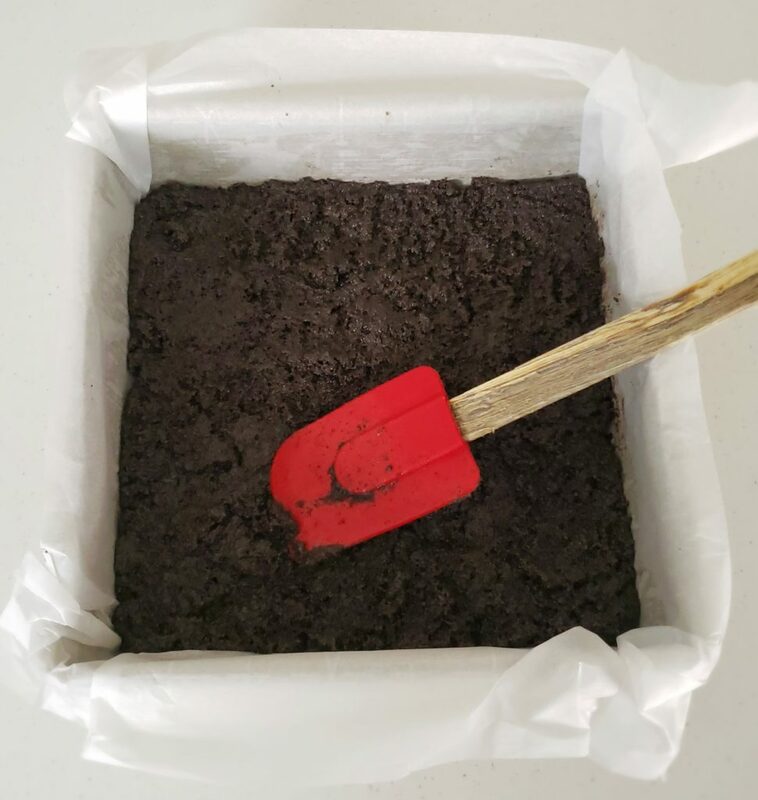 Use a spatula to spread the oreo mixture on the bottom of the prepared pan. Bake at 350°F (176°C) for 10 minutes. Let the crust rest for 5 minutes before pouring in the brownie mixture. 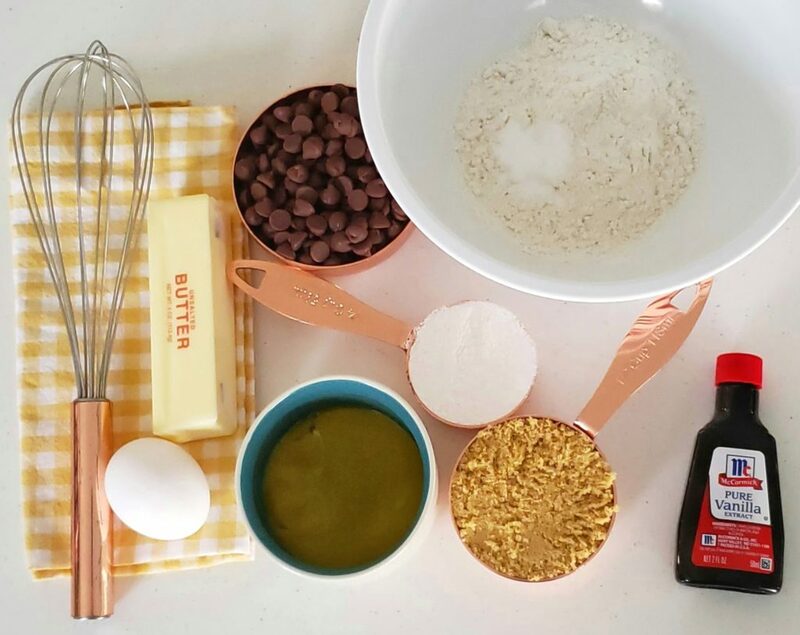 Prepare the brownie batter while the crust is baking. 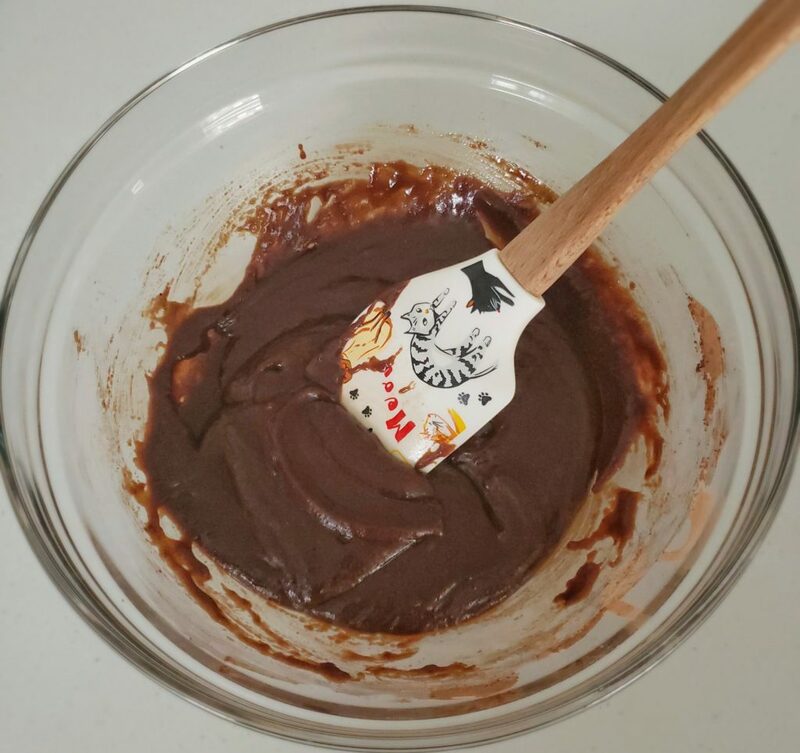 In a medium bowl, whisk the flour, baking powder, salt and cocoa powder. 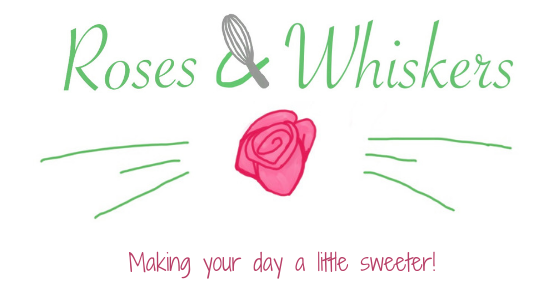 In a separate bowl whisk the egg, sugar, vegetable oil and vanilla. Stir the dry ingredients into the wet ingredients until just combined. Spread the brownie batter on top of the slightly cooled crust. Bake at 350°F (176°C) for 18-20 minutes, or until a toothpick inserted into the center comes out clean. Let the brownies cool in the pan for 5 minutes on top of a cooling rack. Then gently press chocolate chip cookies on top. Let the brownies cool completely before frosting them. Prepare the frosting while the brownies are cooling. Cream the butter and Crisco until smooth. Then mix in the powdered sugar, 4 tbsp of milk and vanilla on low speed until combined. Beat on high speed until light and fluffy. Add in another tablespoon of milk if needed and several drops of blue gel food coloring. 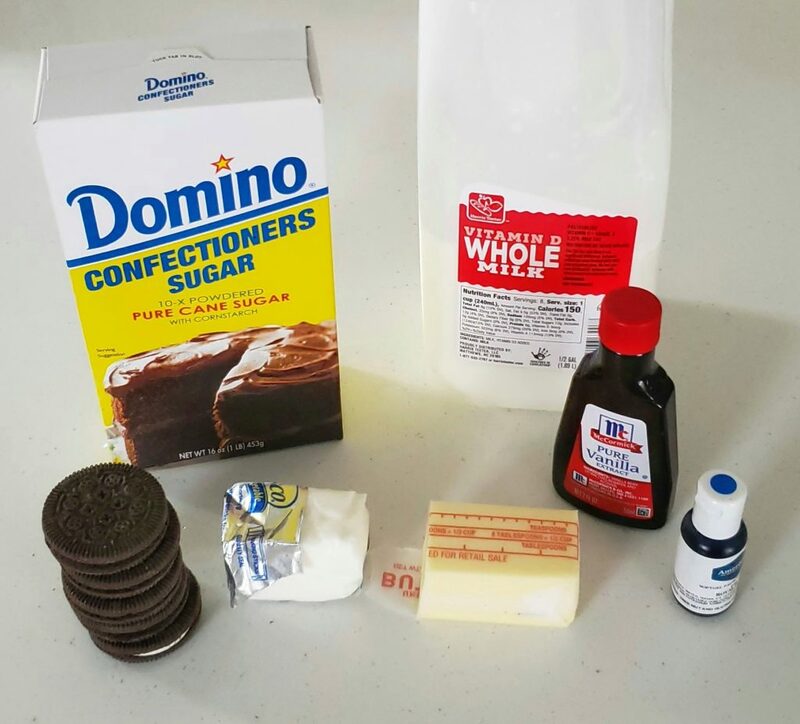 Mix in the crushed oreos. 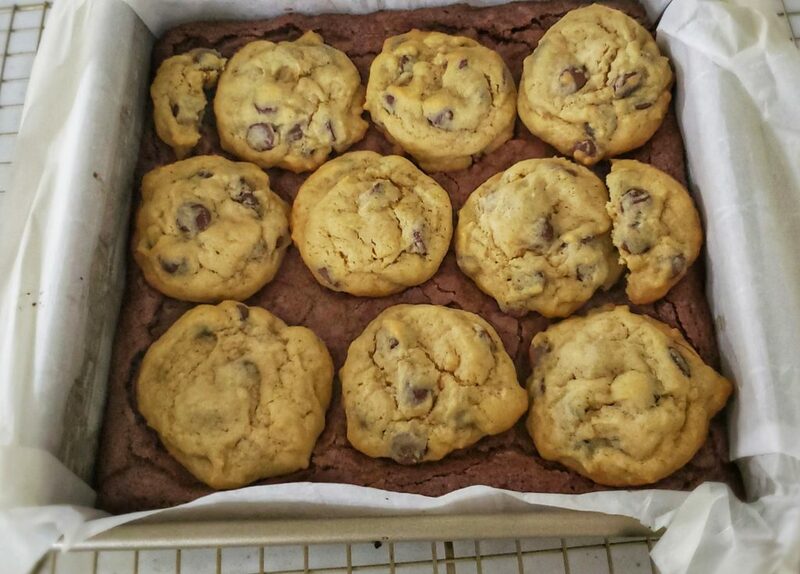 Gently pull the parchment paper and brownies out of the pan. Spread the frosting on top and cut them into squares. Store in an airtight container and enjoy! * There are several varieties of gluten free, off-brand oreos. I used Goodie Girl Cookies.